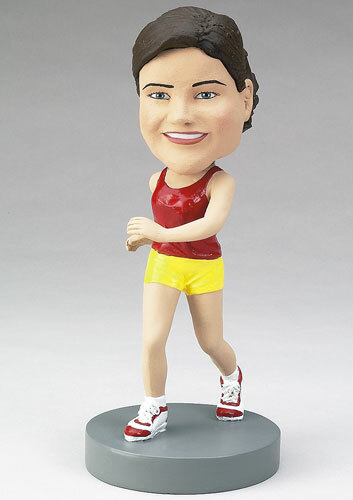 Do you know avid runners who would get a kick out of their very own bobblehead? Give this custom bobblehead to your friend who is training for a marathon or preparing for a 5K. You can inscribe the base with an inspirational quote about "going the distance" or the dates of their race. Customize the outfit appropriately and even add a water bottle! Use "ctrl" or "shift" to select and upload multiple photos. Click here to log in with Facebook! © Whoopass Enterprises. All rights reserved. Get Free Shipping on all categories of Bobbleheads from Whoopass! It's true! Now order any number of Bobbleheads from us and the shipping is free. Get a free custom mockup within 2 hours! How can we reach you to ask details for mockup?